So, it's self (and friend) promotion time . . . sorta. 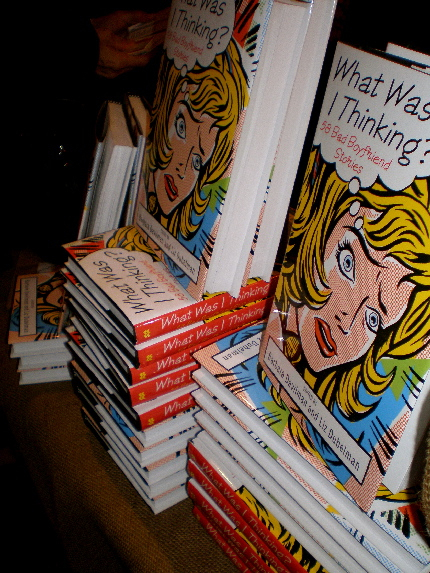 A couple weeks ago, I attended a book party at Venice's TOMS Shoes (buy a pair and automatically give one to a child in need) Pop-Up Store on Abbot Kinney for a (mostly humorous) essay anthology called, "What Was I Thinking?" Basically, each essay reveals a different woman's experience with the moment she knew a relationship was over. Sound heavy? I guess it could, but most of the stories are long past (gathering levity over time, as these things do) and also they chronicle transformative moments. ANYWAY, although I didn't write a chapter for the book, I'll be reading a personal essay on the topic along with a bunch of the book's authors (info below). Whether you check out the reading or not (and there are readings going on in other cities like Portland, NYC, Boston and Chicago too, I believe), the book is worth a gander. Meanwhile, the more I think about getting up in front of people and reading, the more I wonder what I was thinking . . . just another transformative moment one hopes. Eh. 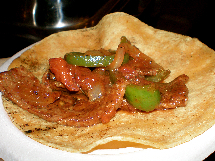 **For insider taco info check LA Taco, a site dedicated completely to LA taco culture. LOVE! 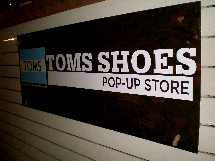 Tags: Green Truck / Jonathan Gold / Kogi / LA Taco / personal essays / Pop Up store / Reading / TOMS Shoes / What Was I Thinking?